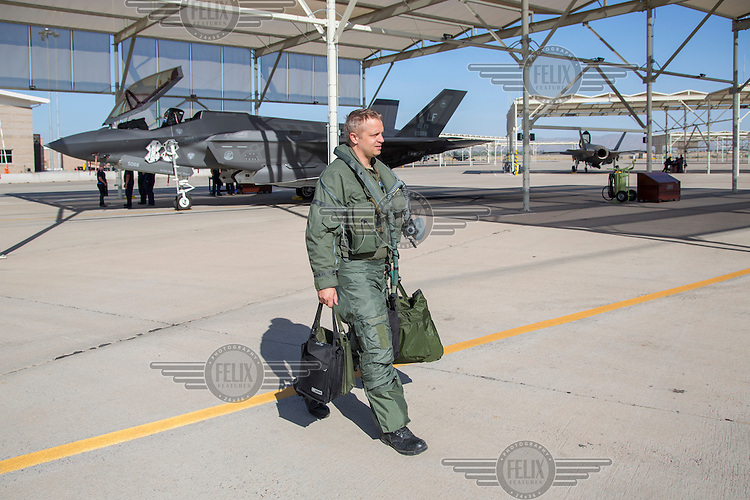 Lockheed Martin F-35 Lightning II multi-role fighter flown by Norwegian Air Force pilot. Stationed at Luke Air Force base, Arizona,as part of US 62.fighter sq in 56th Fighter wing. The Norwegians train and operate in the US before taking their own aircrafts back to Norway. Pilot Lieutenant colonel Martin Tesli , Senior National Representative.